Ehsan joined Watsi on November 25th, 2015. Three years ago, Ehsan became the 1642nd member to automatically support a new Watsi patient every month. Since then, 3,444 more people have become monthly donors! Ehsan's most recent donation supported Liz, a toddler from Kenya, to fund brain surgery. Ehsan has funded healthcare for 40 patients in 10 countries. Philipo is baby from Tanzania. He was diagnosed with bilateral genu valgus. his legs bow inward so that his knees touch. This condition is typically caused by an excessive accumulation of fluoride in the bones, which often stems from contaminated drinking water. As a result, he has a difficult time walking. Our medical partner, African Mission Healthcare, is requesting $940 to fund corrective surgery for Philipo. The procedure is scheduled to take place on February 14. Treatment will hopefully restore Philipo's mobility, allow him to participate in a variety of activities, and greatly decrease his risk of future complications. Edward is a student from Kenya. He is the youngest in a family of four. Edward is a primary school student who aspires to become a doctor. His parents are farmers. This month, Edward was in a motorcycle accident, and he suffered a femur fracture. He needs intramedullary nailing to correct the fracture. He complains of mild pain. If not treated, Edward risks further complications, such as malunion. Fortunately, surgeons at our medical partner can help. On January 24, Edward will undergo a fracture repair procedure, called an open reduction and internal fixation. This treatment will help him walk on his easily own again. Now, our medical partner, African Mission Healthcare Foundation, is requesting $1,451 to fund this procedure. Edward says, “I wish to be treated. I want to become a doctor." San Win is a 14-year-old from Burma. He lives with his parents and a seven-year-old sister. His parents work as daily agricultural laborers growing rice and corn. Since 2004, San Win has had an inguinal hernia. Fortunately, on January 8, he will undergo hernia repair surgery at Mae Sot General Hospital, our medical partner's care center. 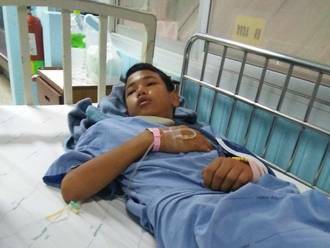 Our medical partner, Burma Children Medical Fund, is requesting $1,500 to fund San Win's hernia repair surgery. The procedure is scheduled to take place on January 8 and, once completed, will hopefully allow him to live more comfortably. San Win says, “The pain annoys me and I feel distressed. Nonetheless, I always have the ambition of becoming a technician." Megan is a baby from Kenya. Her mother named her after Meghan Markle. Megan has been diagnosed with hydrocephalus, a condition in which excess cerebrospinal fluid accumulates in the brain and increases intracranial pressure. Without treatment, Megan will experience severe physical and developmental delays. 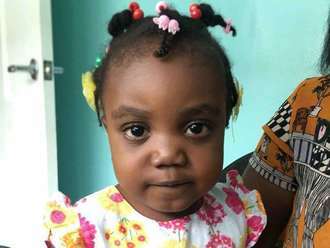 Our medical partner, African Mission Healthcare Foundation, is requesting $685 to cover the cost of surgery for Megan that will treat her hydrocephalus. The procedure is scheduled to take place on November 28 and will drain the excess fluid from Megan's brain. This will reduce intracranial pressure and greatly improve her quality of life. With proper treatment, Megan will hopefully develop into a strong, healthy young girl. Kibet is a baby from Kenya. His parents are farmers, relying on seasonal rains for their maize plantation. Kibet has been diagnosed with hydrocephalus, a condition in which excess cerebrospinal fluid accumulates in the brain and increases intracranial pressure. As a result of his condition, Kibet has been experiencing a rapid increase in head circumference. Without treatment, Kibet will experience severe physical and developmental delays. Our medical partner, African Mission Healthcare Foundation, is requesting $685 to cover the cost of surgery for Kibet that will treat his hydrocephalus. The procedure is scheduled to take place on August 9 and will drain the excess fluid from Kibet's brain. This will reduce intracranial pressure and greatly improve his quality of life. With proper treatment, Kibet will hopefully develop into a strong, healthy young boy. Kibet’s mother says, “My hope is to have my son treated. He is my only child and would wish to see him lead a normal life." Tingo is a grandmother from Kenya. She is a farmer who plants sorghum and millet for a living. Tingo a mother of eight with thirty two grandchildren. On July 5, Tingo was heading to the market when she was hit by a speeding motorcycle and sustained a broken femur. She is not able to stand or walk using her right leg. Fortunately, surgeons at our medical partner can help. On July 11, Tingo will undergo a fracture repair procedure, called an open reduction and internal fixation. This procedure will help her walk and farm easily again. Now, our medical partner, African Mission Healthcare Foundation, is requesting $968 to fund this procedure. Tingo’s daughter says, "My mum has a lot of pain and discomfort, she cannot stand or even sit, I hope she gets treated and get well soon." 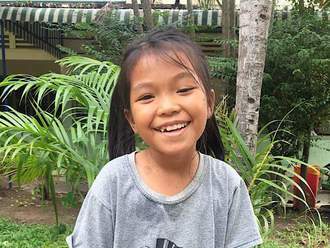 Sok is a girl from Cambodia. She has two sisters and two brothers. She enjoys reading and eating fruit. After school, she likes to play with her neighbors outside and sing. Sok was born with scoliosis, which is progressing with age, making it difficult to sit in school for long periods, and causing a lot of discomfort. Surgery can help correct the position of her spine, and prevent further worsening of the condition. She needs to undergo a rod expansion to improve her posture and get rid of her back pain. Surgery is scheduled for June 12 at our medical partner's care center. Now, her family needs help raising $1,500. She says, "I hope my back doesn't hurt so much after surgery and I can return to school." Sarah is a toddler from Haiti. She lives with her parents and older brothers in a neighborhood of Port-au-Prince. She likes playing with her cousins and her neighborhood friends. Sarah has a cardiac condition called pulmonary atresia. She was born with one of the four valves of the heart missing. Sometimes a surgery can be done to correct this condition, but the only way to know this is by doing a cardiac catheterization. To determine if Sarah's condition is operable, she must undergo a diagnostic cardiac catheterization, a procedure that is not available in Haiti. During the procedure, a catheter probe will be inserted into her heart to perform the necessary measurements and tests. On May 24, she will travel to the Dominican Republic to receive the scan at our medical partner's care center, Clinica Corominas. Our medical partner, Haiti Cardiac Alliance, is asking for $1,500 to cover the costs of Sarah's travel expenses, catheterization procedure, and lab work. Her mother says, "Our family is hoping and praying for good news from this test!" Smaha is a young student from Haiti. She lives with her parents and three siblings in Cap Haitien, a city on the northern coast of Haiti. She attends kindergarten, and likes coloring and doing art projects. Smaha has a cardiac condition called patent ductus arteriosus. A hole exists between two major blood vessels near the heart. Blood leaks through this hole without passing through her lungs to obtain oxygen, leaving her sickly and short of breath. 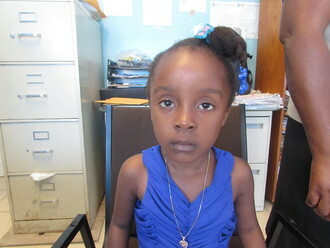 On April 8, she will undergo cardiac surgery at St. Damien Hospital, our medical partner's care center. During surgery, Surgeons will use stitches to close off the hole so that blood can no longer leak through it. Another organization, Gift of Life International, is contributing $5,000 to pay for surgery. Smaha's family also needs help to fund the costs of surgery prep. The $1,500 requested by our medical partner, Haiti Cardiac Alliance, covers cardiac exams and medications. Her mother says, "We are very happy that Smaha can have this surgery, and would like to say thank you to everyone!"